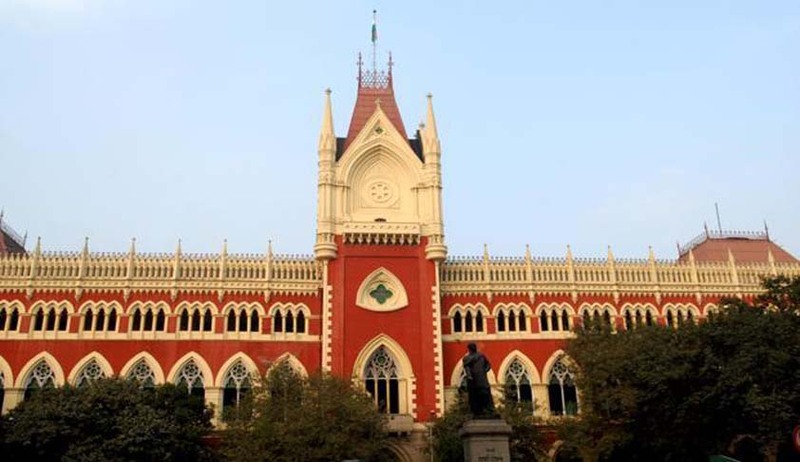 In a landmark judgment, the High Court of Calcutta on Thursday issued additional directives to conduct investigation and trial under the Prevention of Children from Sexual Offences (POCSO) Act, 2012. The court was hearing an appeal against a judgment passed in July 2016, wherein the appellant was convicted for sexually assaulting an 11-year-old girl. The appellant now contended that the complainant had failed to prove her case beyond reasonable doubt. The court, however, upheld the trial court judgment and noted that any minor deviation in the evidence of the witnesses, as to which part of the anatomy of the victim was touched, would not bring the act of the accused outside the purview of the offence of sexual assault under Section 7 of the POCSO Act. It went on to award a compensation of Rs. 75,000 to the victim, to be paid to her parents by the state Legal Services Authority. It also modified the sentence awarded to the accused, awarding him rigorous imprisonment for three years, in view of the fact that he was aged 19 years then, and did not have any criminal antecedent. The court further noted, with “utmost displeasure”, that the identity of the victim had been disclosed in the judgment delivered by the trial judge. 1. Registration of FIR: The police officer or the special juvenile police unit, on receiving a compliant as to commission or likelihood of commission of offence under the Act, shall register the same in terms of Section 19 of the Act. A copy of the same shall be furnished free of cost to the child or his parents. The child may also be referred to the district Legal Services Authority for necessary legal aid/representation under section 40 of the Act. Failure to register an FIR for offences punishable under Sections 4, 6, 7, 10 & 12 of the POCSO Act shall attract penal liability under Section 166-B of the Indian Penal Code. 2. Immediate medical aid/examination: On registration of the FIR, the police officer shall immediately send the child for medical aid, and/or medical examination under Section 27 of the Act. The Officer shall also ensure that the victim’s statement is recorded under Section 25 of the Act. Further, if the officer or the unit is of the opinion that the child falls within the definition of “child in need care and protection” as defined under Section 2(d) of the Juvenile Justice (Care and Protection of Children) Act, 2000, the child shall be sent to the jurisdictional child welfare committee for providing care, protection, treatment and rehabilitation, in accordance with law. 3. Compliance of abovementioned directions: The special court, on being reported about the FIR, shall make due enquiries from the investigating agency as to compliance of the abovementioned requirements, and shall pass necessary orders. 4. Non-disclosure of victim’s identity: The officer-in-charge of the police station and the investigating officer, including the special juvenile police unit, shall ensure that the identity of the victim is not disclosed in the course of investigation, particularly at the time of recording statement of the victim under Section 24 of the Act, his/her examination before Magistrate under Section 25 of the Act, forwarding of the child for emergency medical aid under Section 19(5) and/or medical examination under Section 27 of the Act. Further, the recording of statement under Section 24 shall be done, as far as practicable, at the residence or a place of choice of the victim or that of his/her parents/custodian, as the case may be. Moreover, the victim’s identity shall not be disclosed in the media, except with the express permission of the special court, in the interest of justice. Any person, including a police officer, disclosing the identity of the victim, shall be prosecuted under Section 23(4) of the Act. Furthermore, the victim’s identity, particularly his name, parentage, address or any other particulars that may reveal such identity shall not be disclosed in the judgment delivered by the special court, unless such disclosure of identity is in the interest of the child. 5. In-camera trial: The trial shall be held in camera, in terms of Section 37 of the Act, and evidence of the victim shall be promptly recorded. Further, the procedure of screening the victim from the accused persons, as provided under Section 36 of the Act shall be followed. The evidence of the victim shall be recorded by the court in a child-friendly atmosphere in the presence of the parents, guardian or any other person in whom the child has trust and confidence. Aggressive questioning shall not be permitted. In appropriate cases, the defence may be directed to submit its questions for cross-exanimation to the court, which shall then put such questions to the victim, in a language which is comprehendible to him. 6. Evidence by video-conferencing: In case the victim is unable to attend the court to record evidence, his evidence may be recorded by way of video conferencing. 7. Compensation/rehabilitation: The special court shall direct payment of interim compensation to the child, on an application made in this regard, or suo motu. It shall, for this purpose, make enquiry as to the immediate needs of the child for relief or rehabilitation, and give an opportunity of hearing to the state and other affected parties. Further, just and reasonable compensation may be awarded at the culmination of the trial, even when the accused is not convicted, or when the accused has not been traced, or has absconded. The quantum of the compensation shall be fixed taking into consideration the loss and injury suffered by the victim, and other related factors as laid down in Rule 7(3) of the Protection of Children from Sexual Offences Rules, 2012, and shall not be restricted to the minimum amounts prescribed in the Victim Compensation Fund. The concerned Legal Services Authority shall ensure that the interim/final compensation is paid to the victim from the Victim Compensation Fund, or any other scheme established under Section 357-A, Code of Criminal Procedure. The court shall record reasons in case it declines to pass interim or final compensation. Further, the interim compensation so paid, shall be adjusted with final compensation, if any. 8. Expeditious trial: The special court shall take all measures to conclude the trial as expeditiously as possible, preferably within a year from taking cognisance of the offence, and without granting unreasonable adjournment to the parties in terms of Section 35(2) of the Act.